Pilkington Automotive provides glazing solutions for one in three vehicles in the world, as well as supplying many of the major automotive groups including Toyota, Ford, Volkswagen, Renault, Nissan, PSA Peugeot Citroen, Honda and BMW. Its European business alone comprises of a complex network of large and small retail fitters across wholesale and distribution markets encompassing a large European Distribution Centre, five European hubs, as well as over 60 smaller warehouses. The quality of the NSG Groups products has ensured a thriving integration into the manufacturing of vehicles. 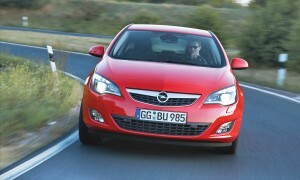 Most recently, The NSG Automotive plant at Collingwood, Ontario, Canada, has launched a production of windscreens for the Opel Astra in November 2011. Collingwood’s contract is concentrated on meeting Europe’s demand for gravity bend windscreens. The gravity bending process is a complex process that involves heat being applied to large sheets of glass, and bent. The process is the most common production method for creating windscreens for large buses and specialised motor vehicles. Other involvement, which marks two ‘firsts’ for Pilkington Automotive, includes the manufacture of a complete glazing unit for the new sleek Vauxhall Zafira Tourer – the first, manufacturing the tallest car windscreen, at 1.5m – and the second, the creation of the largest laminated roof light that any automotive manufacturer has ever produced. 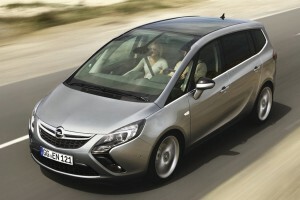 Together, NSG and Vauxhall have created a 2.8m stretch of glass that extends from the dashboard to the rear seats. This massive stretch of glass has been intelligently manufactured – offering the driver a wide range of benefits. The NSG group invests over £29 million a year in research for automotive glazing solutions – being able to provide manufacturers and drivers alike with the very best in windscreen technology. Pilkington Automotive's Hotscreen™, a heatable glass solution, provides a technology that helps de-ice and de-mist a vehicles windscreen. The innovative incorporation of fine heatable wire gives the glass the capability to complete the task in temperatures of around -5°C, within two minutes. Hydrophobic glazing, another solution that looks to improve a driver’s visibility, tackles the issue of driving in rainy conditions. The glazing solution controls the contact angle that the raindrops land on the windscreen, ensuring that any water is dispersed quickly, improving the view through the car windows. Solar Control Glazing is also available to reduce the effects of the heat build-up inside a car. Manufactured containing a special resin (Poly Vinyl Butyral, PVB), this glazing reflects the suns heat, improving the drivers comfort as well as minimising the sun’s radiation on interior trims and fabric. Pilkington’s Automotive glazing solutions adds aesthetic, functionality as well as structural properties to a vehicle design, so next time you get in your car – take a moment to look at your windscreen, not just through it. For more information on Pilkington Automotive visit here.